Most species of Partula tree snails from French Polynesia were made extinct through predation by the introduced carnivorous rosy wolf snail in a failed attempt of biological control. Some of those species were rescued by the international zoo community before they disappeared and are being held in 15 American and European zoos including London and Whipsnade Zoos. The objective is to re-establish those species extinct in the wild back into their natural home range. Partula tree snails were under scientific scrutiny at the time of their demise and collecting and rescue missions saw many of the animals collected sent to ZSL which became the de facto coordinator of the international breeding programme from 1994 through to today. Coordinated by ZSL and in collaboration with French Polynesian Government, the international zoo community has been at the forefront of the reestablishment programme in what is a logistically complex project. A predator-proof reserve has been constructed on Tahiti and many trees marked out for the repatriation of snails into their home valleys. Authorisation has been acquired to import three species in 2014 and associated quarantine legislation clearance is in the process of being ratified. The 2014-2018 Action Plan is to realise the reintroduction of all the species in the breeding programme. Of the 11 species in the breeding programme which are extinct in the wild or existing in tiny, precarious populations, three Tahitian species are scheduled for repatriation in 2014. These are Partula nodosa (EX), Partula affinis (CR, one tiny population remaining) and Partula hyalina (VU). A large number of collaborating zoos, French Polynesian Government agencies, universities and museums are involved with this international conservation initiative. 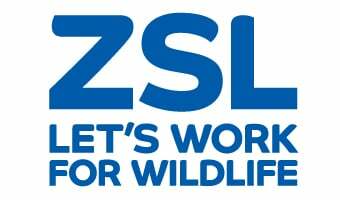 ZSL Coordinates the International and European Programme for this species and the St Louis Zoo Coordinates the American Programme. The main French Polynesian Government partner is La service direction de l’environnement de la polynesie francaise. Zoo community partners are AZA member associations and EAZA member associations, under the World Association of Zoos and Aquariums. The programme is also associated with IUCN’s Conservation Breeding Specialist Group, Mollusc Specialist Group and Reintroduction Specialist Group. Construction of the Tahitian reserve was funded by a Conservation International’s Critical Ecosystem Partnership Fund (CEPF) and its maintenance is supported with a grant by the Mohaned bin Zayed Species Conservation Fund. Long term field conservation support is provided by a collaboration of the French Polynesian Government and the zoo institutions participating in the breeding programme.